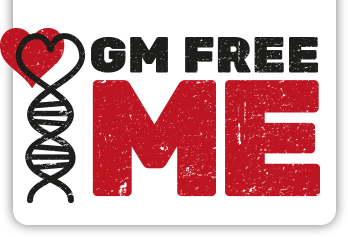 GM Free Me is an initiative of Beyond GM, a new initiative whose aim is to make a big noise and raise the level of the debate on genetically modified organisms (GMOs) in the UK and elsewhere, on both the local and national levels. Beyond GM aims to bring some fun and dynamism back into GM campaigning by working with the strengths, talents, energy and commitment of real people all over the country and bringing their views to the fore. But it also has a serious purpose. For two decades the idea of GMOs has been ‘sold’ to the public as a way to ‘fix’ the food system. But the truth is GMOs were invented at a time when we still believed that industrial farming was the answer to all our problems. Today they are little more than a crutch, used to prop up some of the worst, most damaging and most outdated aspects of a broken food system. If anyone tells you that GMOs are the answer to the problems of environmental degradation, food insecurity and world hunger it’s a sure sign that they are lying – or they have failed to understand the true nature of these very serious problems. Before we can get to real solutions for real problems we need to end the distraction of GMOs. As our campaign progresses, Beyond GM will be raising questions and criticisms but also giving focus to solutions. GM Free Me is the first step on that journey.